Darlene Giorgi Postel, 88, passed into the Kingdom of Heaven on March 7, 2017. Darlene was born on December 3, 1928 to Mario and Lena Giorgi (deceased). She attended Wilson School, La Cumbre Jr. High and graduated from Santa Barbara High School. After graduation she worked at Bank of America before moving on to a permanent job at the Santa Barbara Medical Clinic. She retired after 28 years of employment to enjoy her children, grandchildren and her home and garden. Darlene was an accomplished pianist, playing music from the masters and her favorite songs of the 30’s and 40’s. As a child, she started taking ballet lessons and before we knew it she lived in her toe shoes and became “Miss Twinkle Toes”. She was also a strong swimmer, loved the beach in the summer with her friends Louise, Helen and many others. During World War II she was then a teenager and participated in USO dances along with her friends. She came from a very patriotic family of Italian heritage who were very proud to be Americans. 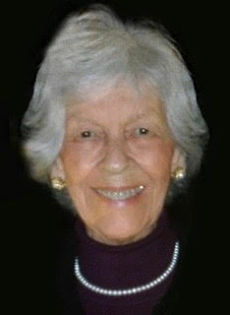 Darlene married Robert Postel in 1953 at Mount Carmel Church in Montecito and went on to give birth to three children. Claudia Wilberger (Gary), Robert Postel and Christine McAfee (William). She had three granddaughters, Robin Wilberger, Rachel McAfee and Nina McAfee. She was very proud of her family. Darlene is survived by her children, grandchildren and sister Lorraine Giorgi Morey. She leaves her cousins Dennis Feeley (Connie) and Annette Mendez. Her nephew Justin Bosio, (Cheryl) and Justine, Sheldon and Lindsay Bosio. The family would like to thank Senior Advocates Residential Care where she lived for one year. The love, care and excellent food that she raved about are very much appreciated. “As Time Goes By” (one of her favorite songs), we realize how important family is. To love and be loved, to have a sense of humor which Darlene certainly had and to be the best we can be will be our legacy. Darlene lived a long life and passed peacefully of natural causes. She will be greatly missed by family and friends. In lieu of flowers we ask that you donate to your favorite charity. Private service at Calvary Cemetery, March 23rd at 1:00 p.m.